the simplest, most powerful Virtual reality creation and collaboration software. See it to believe it. 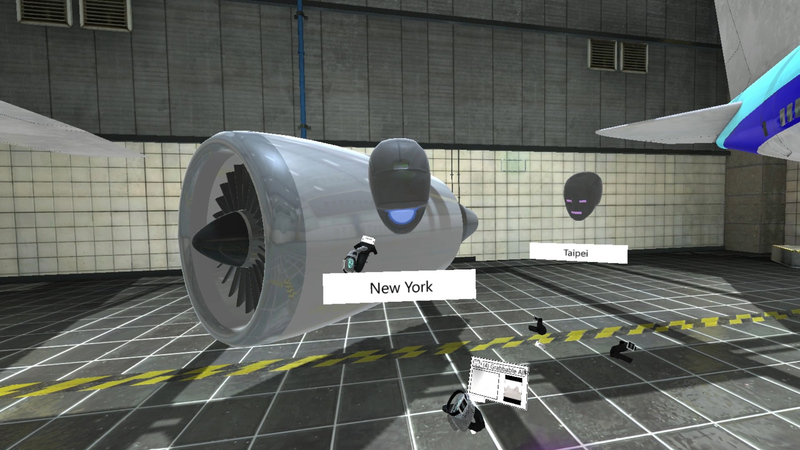 Easily build VR experiences, presentations, and trainings with no coding, then invite others to join you in VR. Simple yet powerful. Meet with others inside your secure, real-time VR environment. Interact with objects and each other. Engage your audience to the max. Review sessions, then revise, republish, and re-use your immersive experiences. Work on them with others in your organization in real-time, like with a Google Doc. Vizible is already changing the way organizations communicate, collaborate, and train. Instead of needing a developer or using complicated game engines to create VR, Vizible is VR “for the rest of us”. As such, it stands to impact millions of professionals who can now create immersive presentations about a product, brand, topic, etc, and then hold immersive meetings inside of them with colleagues, sales prospects, or trainees. Captivate and immerse your audience while conveying complex ideas and designs with natural ease. Use a wide array of powerful tools. Whether your goal is lead conversions, learning outcomes, or immersive collaboration: get stuff done and drive results. Reduce physical travel costs by meeting virtually, without sacrificing personal touch. Shorten sales, onboarding, training, or design cycles. 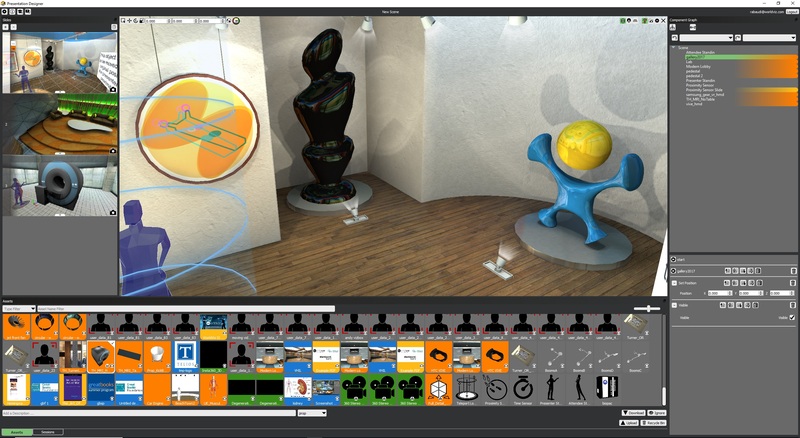 The Vizible Presentation Designer lets you create immersive, collaborative VR experiences. No coding. Vizible works on Desktop PC, HTC Vive, or Oculus Rift. If you need it to work on other platforms, reach out. For real-time, global communication + collaboration, Vizible is lightning fast - even if you're viewing heavy 3D assets. 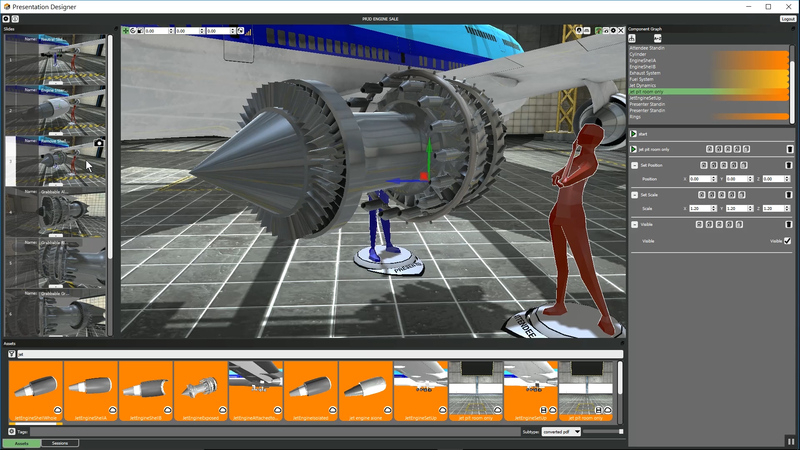 Bring 3D models, 360 videos, sounds, images, pdfs, avatar recordings, and more into your Vizible presentations. You can use buttons and sensors to add interactivity into your VR experience. You can even embed avatar recordings. When inside Vizible with others, you can use drawing tools, laser pointers, grabbers, remote controls, and more.